I wanted to do something different today and share a wonderful recipe that I came across a few days ago! I came across Lauren hearts Food, a Food Lover’s Journey to becoming Vegan and was blown away by her beautiful pictures and healthy and delicious recipes!! 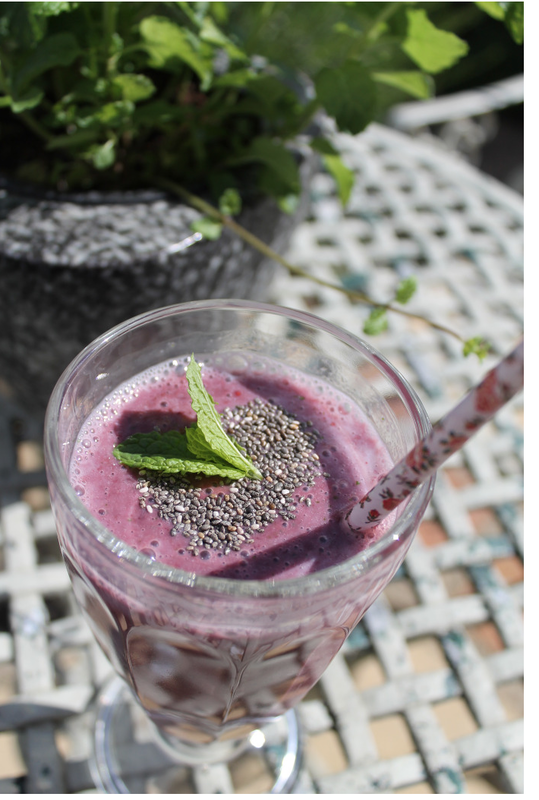 I wanted to share with you her ” Minty Blackberry & Ginger Smoothie” I tried this little number the other day and WOW! as always thanks so much for reading and YOU’RE WELCOME! Oh that looks very delicious.